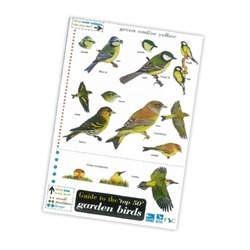 Our nature guide books are an ideal addition to your wildlife spotting efforts, providing you with an easy way to identify your garden visitors. 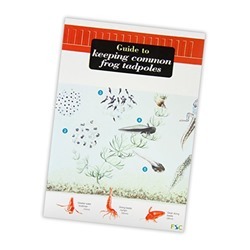 Field guide books are a highly accessible way to begin your wildlife observation efforts, providing beautifully illustrated images of UK garden wildlife, to help you discern between various animal, insect and plant species. 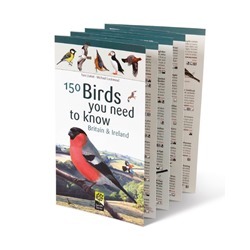 They are also a great reference for even the most experienced bird watchers, and are ideal to have close at-hand if you should spot a rare species! 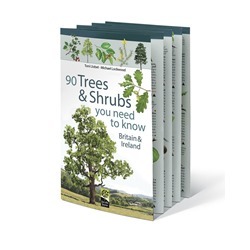 Our nature guide books cover a wide selection of wildlife, which means that almost any garden enthusiast is sure to find a topic of interest in our selection. 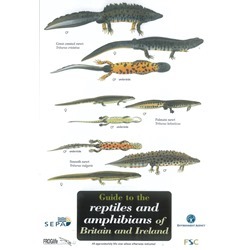 They also make an ideal gift for those with a keen interest in UK wildlife, and are perfect for use as a learning resource, in order to introduce children to both rare and recognizable UK species. 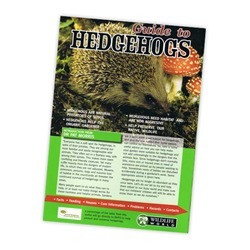 Do you have a specific question about UK garden wildlife? 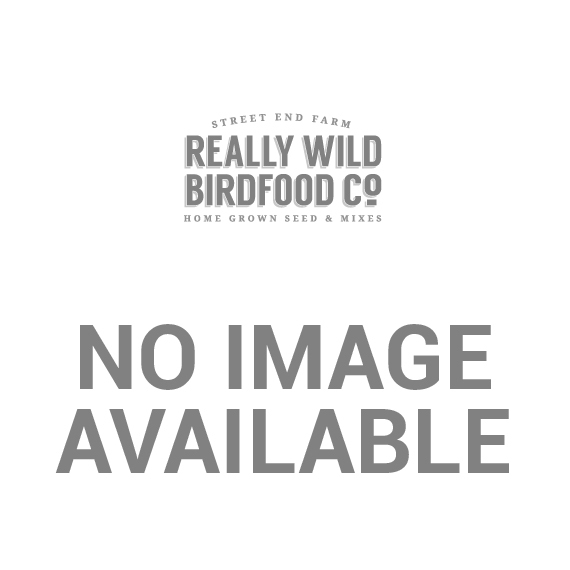 Check out the Really Wild Bird Food blog, or send your questions to us. 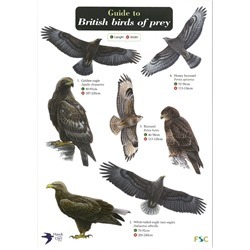 The Guide to the 'top 50' Garden Birds This beautiful fold out chart is designed to help with the identification many bird species likely to be found in Britain throughout the year. 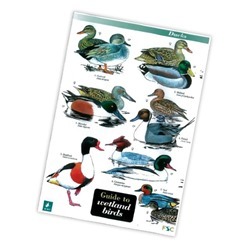 Field Guide to Wetland Birds This beautiful fold out chart is designed to help with the identification many bird species likely to be found in Britain throughout the year. 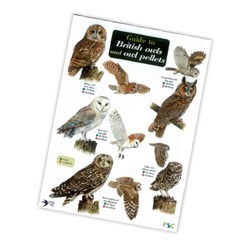 Guide to British Owls and Owl Pellets This beautiful fold out chart is designed to help with the identification many bird species likely to be found in Britain throughout the year. 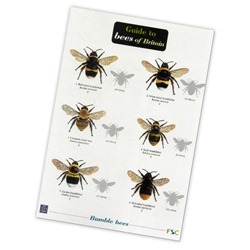 Guide to Bees of Britain This fantastic fold out guide will help to identify bees and bugs in your garden. Each chart is laminated to make it shower-proof and robust for use outdoors. 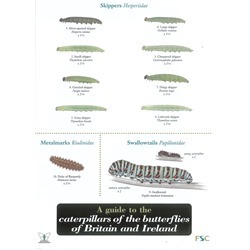 Field Guide to Solitary Bees in the Garden This fantastic fold out guide will help to identify bees and bugs in your garden. Each chart is laminated to make it shower-proof and robust for use outdoors. 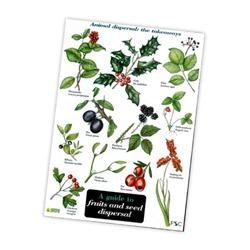 Field Guide to Bugs on Bushes This fantastic fold out guide will help to identify bees and bugs in your garden. Each chart is laminated to make it shower-proof and robust for use outdoors. 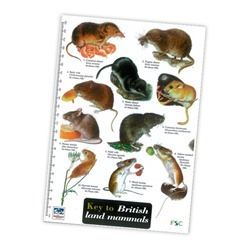 Field Guide to the Land Mammals of Britain Beautifully illustrated and informative Field Guide for Land Mammals of Britain. 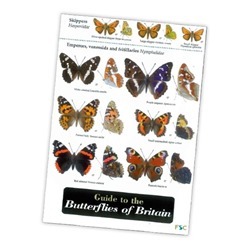 Field Guide to the Butterflies of Britain Beautifully illustrated field guides to help identify Butterflies in Britain. Weatherproof laminated for durability. 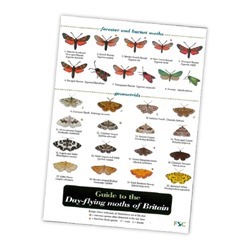 Guide to the day-flying Moths of Britain Beautifully illustrated field guides to help identify Day-flying Moths in Britain. Weatherproof laminated for durability. 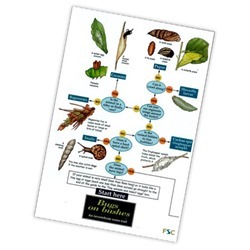 Field Guide to Fruits and Seed Dispersal This fold-out chart by the Field Studies Council is designed to explore what seeds and fruits are, how they are formed and particularly how they are dispersed. 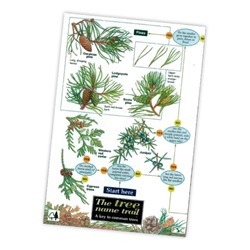 Field Guide - Tree Name Trail This handy laminated fold-out chart is designed to help users identify of a wide range of plants and animals. 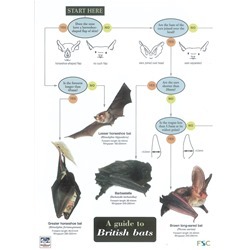 Field Guide to British Bats lovely 8 panel laminated chart with 16 different bat species!